Grenergy, the Spanish renewable energy company, has completed the transfer of 11 solar plants (PMGD) located in Chile to the fund InterEnergy Holdings in a deal worth $66.5 million (approximately €58 million). 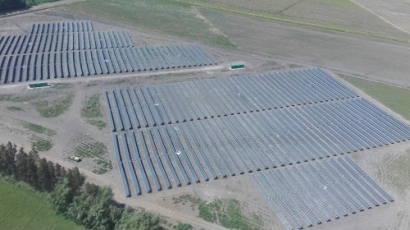 With the last transfer of three PMGD plants -with a power of 12MWn and an amount of $7.4 million - carried out at the end of 2018, the Spanish company completes this operation sealed in 2017, which included the sale and construction of 11 PMGD solar projects in Chile to InterEnergy, with a total installed capacity of 51MW peak -45MW nominal-. These projects, located in the regions of Coquimbo, Metropolitana, O ́Higgins and Valparaíso, have been fully developed and built by Grenergy and were the first PMGD with structured financing under the Stabilized Price regime in Chile. In addition, the company will will carry out the Operation and Maintenance through its O&M division.